I take it Houston is the better club? Not sarcastic. I thought the win came as a shocker. 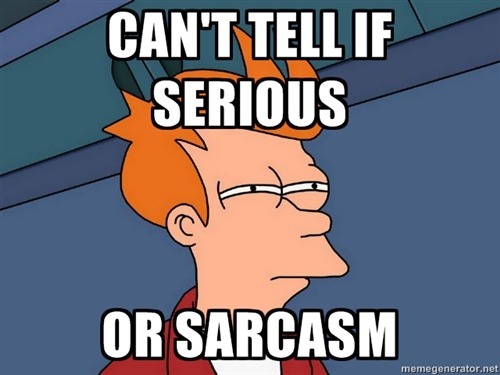 I know almost nothing about American soccer. Mo'ne Davis, a 13 year old girl, threw a complete game shutout (6 innings) with 8 strikeouts and no walks in Philadelphia's 4-0 victory over Nashville at the Little League (baseball) World Series. Mo'ne is one of two girls playing in the World Series. She can throw 77 mph. Wowzers! I know who you are. You're the guy I took twice as a QB in fantasy football (once as a backuo, once as a starter) hoping you'd have a huge season, but you stunk. If they're top dog, who's next? Any rivalries? Mo'Ne Davis makes history as the first Little League player to be on the cover of Sports Illustrated. Some say that she could be the first woman to play in MLB - putting her on the same pro level with phenoms like Tiger Woods and LeBron James. Personal opinion, I think the hype of Johnny Football (and perhaps Manziel himself) will be demolished by the Pittsburgh Steelers in his first NFL start. It seems that Johnny Football has become Johnny Flipoff. That might be the only thing Manziel is famous for (if anyone remembers pre-season games) when he turns out to be a bust. Flipoff? I thought he was of German descent. Do Germans have birds? Cuz he just gave one to the Redskins. Mo'ne Davis - another victim of the Sports Illustrated cover jinx.... She pitched 2 1/3 innings and struck out 6 as Pennsylvania lost to Nevada. Pennsylvania will play in the elimination game on Saturday with a chance to advance to the US championship game to play against ... Nevada. Oh Le'Veon Bell and LeGarrette Blount, why must you cause me such problems? I'd like to see Troy end Johnny Football's career on a Safety Blitz sack, fumble and return for a TD. Troy is getting up in years - not sure if he still has the speed to catch up to shifty QBs like Manziel. Judging from Manziel's play in the preseason, I think Johnny Football's career is more likely to end by riding the bench indefinitely than any monster tackle by Troy. He has Ryan Leaf written all over him. One of the few things I like about the NFL preseason is that there are games on almost every night. We get the Canadian league on cable, once in a while. I wish that were every day too. and on that note, GO ARGOS! With just hours to go before a planned megadeal the would send Kevin Love to Cleveland, the Phoenix Suns reached out to the Minnesota Timberwolves on Thursday to ask once more about the possibility of acquiring Love in a sign-and-trade for guard Eric Bledsoe, sources told ESPN.com. A feeble attempt to prevent the Apocalypse. Catherine "CiCi" Bellis became the youngest woman, at 15 years old, to win a US Open tennis match since 1996 with her 3 set victory over 12th seeded and Australian Open finalist Dominika Cibulkova. Josh Gordon, wide receiver for the Cleveland Browns, will serve a one year suspension for multiple violations of the NFL's substance abuse policy. He is subject to further league punishment when his drunk driving case is adjudicated. Meanwhile, Ray Rice, running back for the Baltimore Ravens, will serve a 2 game suspension for dragging his unconscious then-fiancee (now wife) out of an elevator at an Atlantic City casino. The NFL revised its domestic violence policy increasing suspensions to 6 games for a first offense and a lifetime ban (with application for reinstatement available after 1 year) for a second offense. Catherine "CiCi" Bellis lost her second round match at the US Open. Finally, 19 year old Texas A&M quarterback Kenny Hill throws for 511 yards, breaking Johnny Manziel's record, against South Carolina. Does he have Manziel's signature money-sign? He sure comes across a lot classier than Manziel did. Unfortunately for the other teams in the SEC West, TX A&M looks like they may be even better this year. That's a scary thought. "All Haley Burke wanted was to meet Tim Tebow. So the Virginia teen, who has battled Ehlers-Danlos syndrome (an inherited connective tissue disorder) since she was 15, began talking with the Tim Tebow Foundation, hoping to get some face time with the former NFL quarterback. She got way more than she bargained for." Michael Sam got cut today. Let the media conspiracy theories begin! 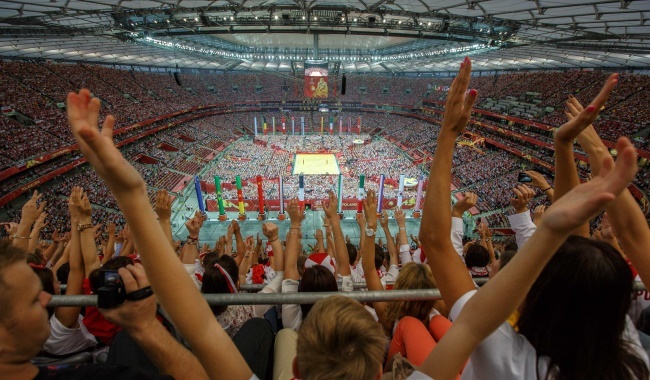 Yesterday first time in Poland begun Volleyball Men's World Championship. For us it's a great and historic event. But yesterday's opening match (Poland-Serbia, so my two teams ) was generally historical, as it's the biggest official volleyball match ever, I mean the number of supporters - about 64 000 (the match was played exceptionally at the National Stadium in Warsaw that had been built Football European Championship). My sister was lucky to be present at the stadium, I had to watch it in TV. And although normally in such cases doesn't matter which team wins, in this case I was supporting Polish players because the championship takes place in their (and our) country. And Poland won, with a great predominance. The 54th Massachusetts charging Fort Wagner: 'O Fortuna' starts around 1:15. Phillies pitchers Cole Hamels, Jake Diekman, Ken Giles and Jonathan Papelbon combined to throw a no-hitter against the Atlanta Braves yesterday. Even though Hamels had a no-no going through six innings, manager Ryne Sandberg chose to remove him for a pinch hitter after his pitch count reached 108. Hamels's stuff was unhittable, but he struggled with his control, walking five and hitting a batter. The next three pitchers each pitched one perfect inning to close out the gem. This marks the third time in Major League history and first time since 1991 that four pitchers combined to throw a no-hitter. My fantasy football draft is tonight. Pray for me. Michael Sam is now on the Dallas Cowboys' practice squad. NHL Commissioner Gary Bettman said the recent reports from Sports Business News which claimed the NHL would expand by four teams are false.